It’s common knowledge among traveling anglers that January and February are the most popular time to visit New Zealand. Mostly to escape the winter in the Northern Hemisphere. Judy Hall is our expert on New Zealand and she loves traveling to New Zealand in “the spring”. Personally, I love New Zealand in the late spring, which in the Southern Hemisphere is mid- November and early-December. Here are the top five reasons I love to visit New Zealand in the spring. The fishing for both Brown and Rainbow Trout can be outstanding. 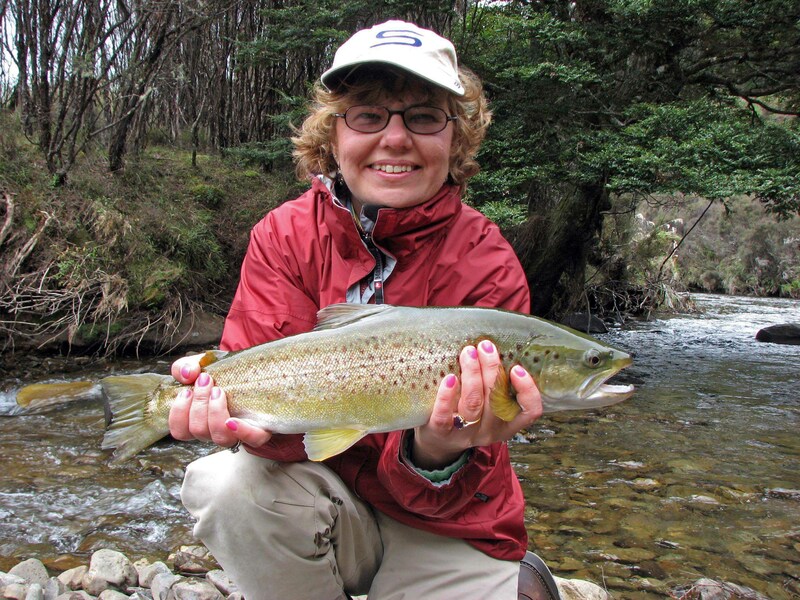 The trout are hungry and unpressured and more than willing to take a well presented fly. The weather is mild, average temperatures are in the 70’s, making stalking trout along New Zealand’s clear rivers very comfortable. Sight nymphing with Stoneflies and the beginning of New Zealand mayfly hatches. It’s not out of your price range! Spring fishing rates and great airfares in Air New Zealand’s new luxurious cabins (http://insidestory.airnztravelagent.com//) make a fishing trip to New Zealand an affordable option. The culture: Trips to New Zealand are about more than just trout fishing. Late spring offers the highest density of non-fishing activities and events around the cities that really showcase New Zealand. Getting excited? You should call (800-628-1447) or email (Judy@angleradventures.com) Judy Hall to discuss the possibility of your trip to New Zealand. This entry was posted on September 9, 2011 at 5:48 pm and is filed under Deals on Fishing Travel, travel, trout, Trout Fishing. You can follow any responses to this entry through the RSS 2.0 feed. You can leave a response, or trackback from your own site.